Japan has 47 prefectures of Japan, 43 of which are labeled 県(ken), the others have special labels like 府(fu) or 都(to). Some of these prefectures have interesting names, and so I want to periodically have a short look at one. 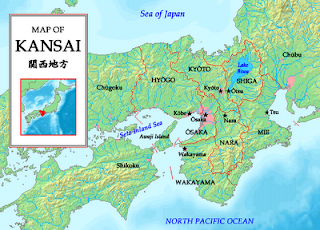 Retaining these little tidbits can be a good way to remember the various parts of Japan. Today Daniel got me all thinking about armor and the military, so I'm going to tell you a little about Hyogo-ken (兵庫県), where I've been living for the past three years. 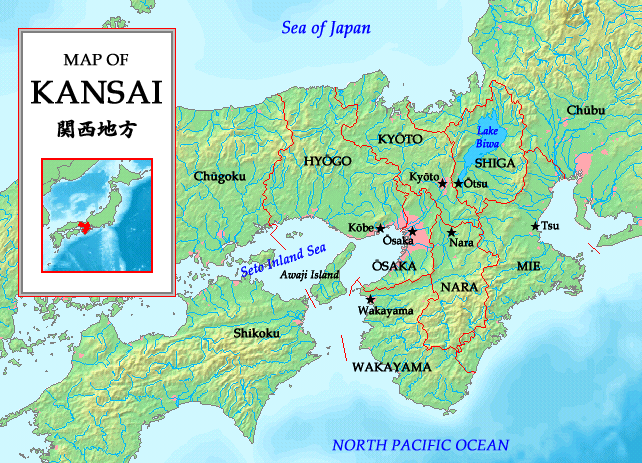 Hyogo makes up the meaty part of the Kansai (or Kinki) region. Its capital is Kobe city, and nearby are Osaka and Kyoto (with Nara not too far, either). These are the region's major cities. Hyogo has a pretty cool name. Its kanji, 兵 and 庫 mean "soldier" and "storehouse" respectively. This is apparently because during the reign of Emperor Tenji, during the 600's, the area was used as a magazine and stored the weapons of many soldiers. Even today there are a number of SDF bases in Hyogo, so its military background is easy to remember. Hyogo: the soliders' warehouse.